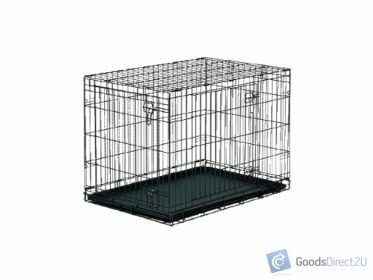 This luxurious waterproof cage cover provides the ultimate comfort for your pets. They are designed to fit all different sizes of dog crates. This cover will also shelter your pet from the harsh weather elements and can also help reduce barking and stress. 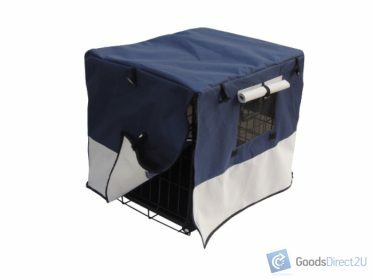 High-quality pet cover allows cage to stay cool in the summer, holds heat in the winter. Roller shades to adjust visibility and ventilation. Zippered front, rear and sides. Cover sized to fit most crates. Great way to protect your pets from the wind and rain or sun. Helps reduce barking and stress. Colour: Navy Blue / Light Grey.